For those of you that followed along with our Asus Transformer Prime giveaway, you know that I absolutely love my new Prime. If you want to know what I loved the most about it, check out that article ASUS Transformer Prime Review and Giveaway ASUS Transformer Prime Review and Giveaway When it comes to getting a tablet, I've taken a long time to explore all of the possibilities. In the end, I opted to stick with the operating system that I fell in love with... Read More . Of course, there’s more to having a tablet than just blogging, creating spreadsheets and managing your finances. Yes, one of the biggest advantages of having a tablet is, of course, playing games. When you’re sitting in that doctor’s office or waiting outside the grocery store, what better way to pass the time than to play games? And what better way to play games than on a tablet with a screen that is nearly as large as a laptop screen, but with hardly a quarter of the power consumption? I get very bored in situations where I have to wait. If I don’t have a book or something else to occupy my mind, it drives me crazy. Now that I have a tablet, I’m never bored. One of the first things that I did once my Prime was all set up with highly-productive software to get my work done, was to install the following five games that I consider a must have if you own an Android tablet. 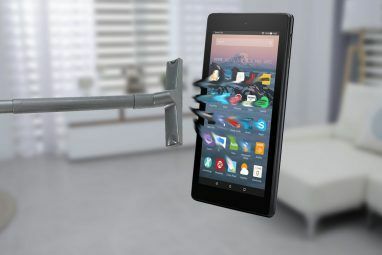 Why specifically Android tablets? Well, we’ve covered lots of Android games here at MUO, like Paul’s list of multiplayer Android games 5 Best Addictive Free Multiplayer Android Games 5 Best Addictive Free Multiplayer Android Games Read More , Angela’s list of casual Android games 7 Great Android Games for Casual Gaming 7 Great Android Games for Casual Gaming For those of you who love to play games in random idle moments, here's a list of great games which are entertaining, cheap, casual, silly and easy to pick up and set down. Well okay,... Read More , and Matt’s list of strategy Android games The 5 Best Strategy Games For Android [Gaming] The 5 Best Strategy Games For Android [Gaming] Of all the genres that can be played on a mobile device, strategy is my favorite. 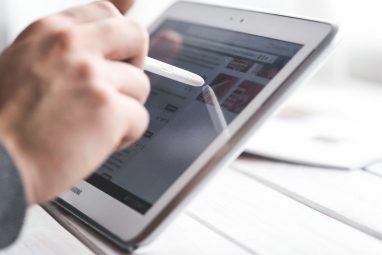 Touchscreens often aren’t the best choice for titles that rely on quick reflexes, but in strategy titles where planning... Read More . These are all awesome suggestions, and if you have an Android smartphone, I highly suggest you check out those articles and install the suggested games. 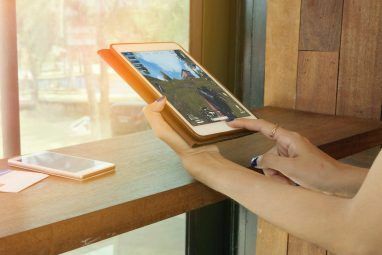 However, what I’d like to focus on in this article are the five games that I consider perfectly made for the larger tablet screen, and that make perfect use of touch screen technology in an intuitive, easy-to-learn way. The first game that I have to suggest is also my #1 favorite of all time game to play on the tablet – Sims Freeplay. I tried playing SIMS when the first version came out for PC, and liked it at first. The problem was that I got bored (there’s a theme here, isn’t there…) from having to wait while my Sims were accomplishing whatever task I set them out to accomplish. Multitasking on the PC with a full-screen game going on wasn’t always easy. These were the days before multiple-screens were all the rage. So, I was really excited to learn that the folks at Electronic Arts have joined in with the freedom-loving mobile games crowd and offer a free mobile version of the SIMS called SIMS FreePlay. Creating your SIM is as simple as just swiping through the selections and tapping on your choices, and then moving your SIM into his or her new home. Just about everything you love about the SIMS game for other consoles, you’ll love in this version as well. On the flip side, everything I didn’t like about the SIMS console version – the tedious process of clicking and clicking just to accomplish dull, everyday tasks – is wiped out of this version. Now, if you want your SIM to eat, you just tap on the refrigerator and then tap on the food choices. Done. Does your SIM need to go to the bathroom? Tap on the toilet. Done. And yes, I snapped a screenshot while my SIM was doing his business. I had to illustrate, right? The ease of playing this version really makes it a fun activity for when you’re stuck somewhere and bored. Just open up SIMS Freeplay and enter into the world of your SIM. The one drawback is that this free version requires you to literally wait for some tasks to complete, such as your SIM sleeping for 7 hours. That means that your session will last until it’s time for your SIM to go to bed, then close your tablet and come back later for another day of fun. It’s a small price to pay for a free version of one of the most popular games on the market today. Yes, I am not ashamed to admit that I made the mistake of trying out Angry Birds on Facebook and promptly getting addicted to the blasted game. I honestly don’t know what in the world is so appealing about Angry Birds. It’s basically just flinging a bird at a bunch of pigs. Seriously, what is up with that? But, there it is. One of the most addictive games on the Internet. And do you want to know a secret? It is even more addictive when you play it on an Android tablet. The act of pulling back the bird with your finger and moving up and down to aim makes it feel like you’re in much more control over the bird than it does when you’re using your mouse on the computer. It connects you with the game even more, and it makes you feel like you can give that bird a bit more precision to take out those blasted pigs. And the cool thing about Angry Birds Space is that you can use the gravity of each planet (or moon?) to your advantage. Of course, sometimes it works to your disadvantage – but that’s where your smarts come into play. Figure out how to take advantage of the gravitational forces in this surreal space environment, and you’ll be knocking pigs to smithereens in no time. Although, I do have to ask the question – what did those pigs ever do to deserve so many attacks, anyway? I have to admit, I get in different moods sometimes, so I have to have different games available to suit those moods. SIMS is great for just chilling and unwinding after a long day, Angry Birds is awesome for just getting refocused between writing articles or finishing some project. But when it comes to relieving stress, I almost always turn to Gun Bros.
What’s Gun Bros? Well, in the simplest terms, it’s a couple of massive guys carrying around two massive guns and blasting everything that moves on these alien planets. The goal at the beginning is just to keep things from touching you and your buddy, but before you know it you’ll be confronting things that start shooting back at you. What makes this game so perfect for the tablet is that you can grasp each side of the tablet, pace your thumb on each of the touch-circles at the bottom of the screen, and you’ll feel totally in control of the action. You command direction with your left thumb, and firing direction with your right. Before you know it, the entire setup feels like second nature. The only problem with this game is that you’ll end up staying up all night without even realizing it (yes, I’m speaking from experience). If you’ve played games like Cafe World on Facebook, then Stand O’ Food will look very familiar. It isn’t a copy of the game, but the premise is almost the same. This is one of those games that is perfect for passing the time if you have a few minutes to burn and nothing to do. Short sessions of play are what you’ll find here. You can go through a tutorial that’ll quickly teach you how the game play works, but the bottom line is that before each round, you’re provided with the variety of foods you’ll need to prepare for customers in your fast food restaurant. In each round, it’s up to you and you alone to tap the right ingredients on the conveyor line in the right order to put together what the customer ordered, as shown in the window above their head. Think it’s easy? Well, you also have to add in any condiments, and any extras like fries or soda. Things can get hectic pretty quick, but thanks to the large tablet screen and the ability to use the lighting-quick reflexes of your finger on the touch screen, you’ll reach higher levels in this game on your tablet then you ever would on a PC. As you work your way through each round of this game, you’ll get new businesses to run. Before you know it you’ll be the fast-food mogul of the Stand O’ Food city. And if you’re the competitive type, yes there’s a Hall of Fame that shows the ranking of other online members. So give it a shot and see whether or not you can measure up to the competition! The final game that I want to propose works best on a tablet is Lane Splitter. If you like the idea of flying down a three line highway on a motorcycle, with the wind flying through your hair as you careen and swerve into and around traffic, then you’re going to love this game. The controls are very simple. Hold the tablet with both hands and simply lean it left or right to turn your bike in that direction. It doesn’t take very long to get used to, and the game is very reactive to every small move you make. You’ll feel like you can make the bike do just about anything – which is good, because once it starts flying at breakneck speeds, you’re going to need that quick reaction time. And if you aren’t quite fast enough, you’re going to end up like I did – with a flattened bike down at the corner of the screen. Not cool. Thankfully, this isn’t real life. All you have to do is tap “Play Again” and you’re rolling down the street once more! It’s addictive, fun, and it was one of the coolest ways I’ve ever burned through time waiting in the mall parking lot for my wife and kids to finish shopping. The time really flew by. If you have an Android tablet, I suggest giving these games a try. Do you think they perform better on a tablet than a smartphone? Share your own thoughts and feedback in the comments section below. Would love to test these game in my BB Playbook. Will try to figure out how to import them. Thanks for sharing! The pigs stole the birds' eggs to make breakfast. The birds, consequently, go on a kamikaze mission to get their eggs back and would follow the pigs anywhere, including space. Sounds like they made The Sims less tedious. Might have to give that one a shot. Would you mind to specify why? Can you suggest better games? you should also try airdogs Multiplayer on android tablets,or ipad. many will wish to play. you should fully use the tegra 3 capability. I may try one of these once my tablet is fixed: it has a broken screen. I am sure that i will try them when i get my Android Tablet! I think there is a free version of Ninja fruit which is also a great game! Great info. Will surely try them out. Thanks.